I'm going to come right out and say it. I'm worried about our profession. I'm going to come right out and say it. I'm worried about our profession. For those of us who have been in the industry long enough, we know how hard we've worked to achieve the credibility and sustainability we have today. But with so much change happening in our industry, as well as the digital world, I think it's time to slow down, process it all, and realize what's happening around us. It's time for PR to be real, or else we will be irrelevant…again. Over the past several years, I've had the opportunity to meet with hundreds of marketers, executives, and great talented and creative professionals. I've watched the industry move from a traditional model, to all things online, to a hybrid approach of media, and now to a digital and content-marketing blend of PR. Our industry is in the middle of a massive transformation – the pace at which I haven't seen in my 20-plus years of being in the business. You're asked one day to create solid positioning and build the right blend of communications for an emerging growth mobile business, to now dealing with all touchpoints related to a brand's most sacred asset: the customer. It's a great time for the PR industry, as we can truly help transform a brand directly to a customer community and witness our results through sophisticated data and analytics in real time. Our opportunity is huge. We are finally at the epicenter of what really makes PR special: creating a valuable story that will resonate, curate, and grow customers into bigger brand evangelists than ever before. We finally have some of the answers to what and how we measure. We're actually able to connect programs to revenue with all the efficient measurement tools that are being born. Are we talking about the same public relations industry that you and I advanced our careers in? What a time for us. Right? Well, not so much. These moments in our industry call for the highest level of integrity, authenticity, and most importantly, trust. Agencies will be faced with challenges we have never experienced before. One red flag is the “a la carte” syndrome. I see so many agencies selling everything under the sun – from SEO to creative to web design. If we start promoting the fact that we're one stop shops, just to impress the marketing executive and take advantage of short-term revenue opportunities without the right model, services, and ultimately skill set in place – are we doing ourselves any favors? In our desire to take 10 steps forward, could we fall 10 steps back? If we promise all that the marketer is looking for just to please and “yes” them – while potentially risking their brand and communications efforts – what does that mean for the long-term outlook of our profession? Is it time for PR to unite in the way we approach business? Yes – as this will be the most defining moment in our industry's evolution. If we have to defend why firms are selling this and not that, and what it will take to have the next data scientists on staff to build a robust measurement platform while securing great visibility for small or large client budgets – are we helping or hurting our opportunity to remain relevant? Don't get me wrong, it's not the size of the budget that matters, it's how effective you can be with a balanced offering that should make the difference – and being real about the partnership every step of the way. 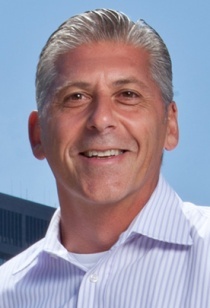 Mark Nardone is EVP at PAN Communications. Contract him at mnardone@pancomm.com.